Looking for a better way to protect your mattress investment? Say hello to the Malouf Sleep Tite Omniphase encasement protector! Malouf has been creating quality bedding products for the past couple of years and decided to dive into the deep end with a more expensive mattress encasement protector. This week, I decided to put this protector to the test and find out what it’s all about. Continue reading below to discover how the protector performed in this week’s sleep tests! The Malouf Sleep Tite encasement protector is made with six-sided protection and consists of an Omniphase phase changing fabric, Tencel, a liquid-proof fabric, and a zipper enclosure. These materials combine to create a breathable, elastic, waterproof, and durable encasement protector all in all. The encasement protector is available in Twin, Twin XL, Full, Full XL, Queen, split Queen, King, split King, and California King sizes, and fits mattresses from depths of 6″-22″. By using a Tencel fabric, the Sleep Tite encasement has a softer texture and is able to breathe better than many cotton protectors. Additionally, this encasement is 100% liquid proof and has the ability to protect from bed bugs, dust mites, and other sources of dirt / damage. Protect the mattress – Includes protection from dirt, dust mites, allergens, and liquid. Liquid protection is easily one of the most important topics when considering a new mattress protector. No consumer wants to purchase a waterproof protector and find out that it is not waterproof after all, which is exactly why we decided to put the Sleep Tite encasement to the test. The first spill test I like to run is a short one. This spill resembles a minor accident or something you may have seen happen. For example, maybe you tipped over a glass of wine while lying in bed. You were able to quickly grab the necessary clean up tools and clean up the mess. Did the protector do its job or were two minutes enough time for some liquid to seal through and damage the mattress? After wash cycle – after running the protector through a normal wash / dry cycle, there were no signs of color retention. 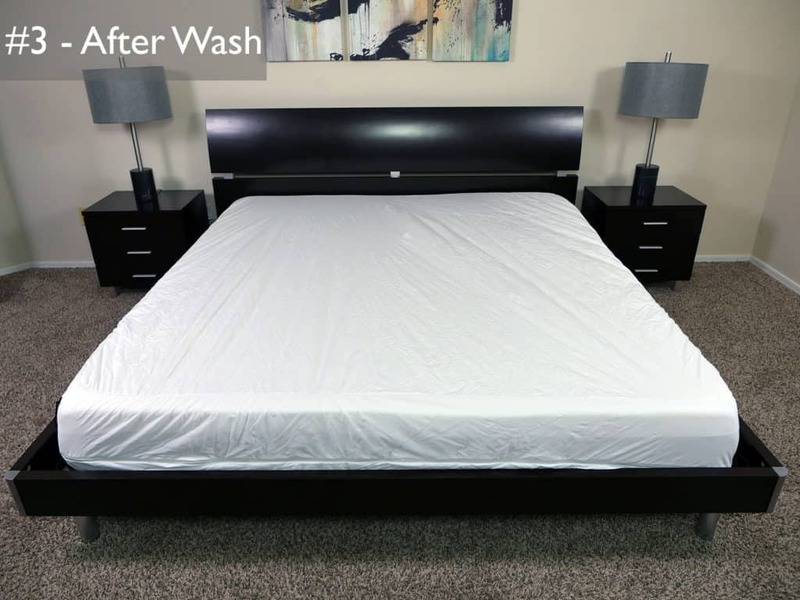 The protector was able to absorb the liquid, protect the mattress, and return to its all white un-stained finish after washing. The second test I like to run is more of a dramatic incident. Maybe one of your kids had an accident in the middle of the night and you didn’t catch it until the morning. You immediately ripped off the sheets and protector, but was the protector strong enough to absorb the mess and guard your mattress from harm’s way? 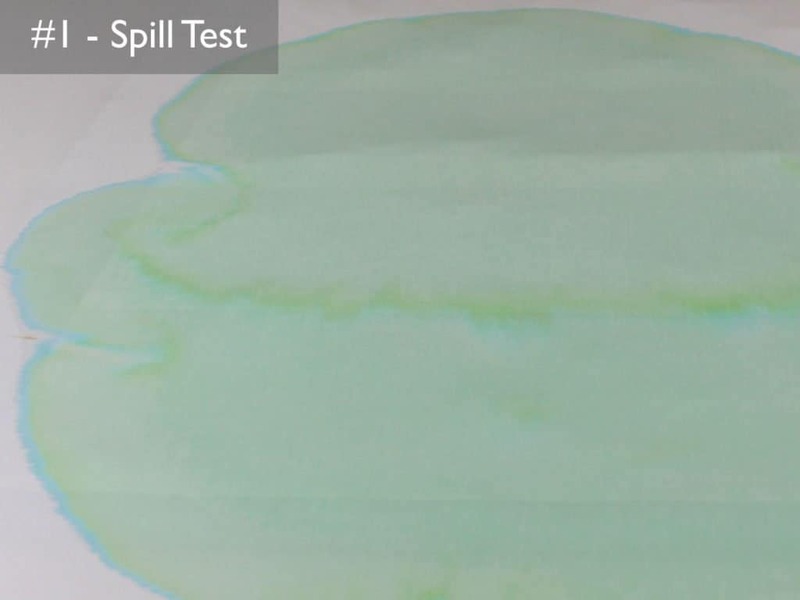 Spill test – For this test, I dyed 16 ounces of water and poured it onto the protector, letting it sit for a total of 6 hours. The water was dyed in order to show any penetration from the protector to the paper towels. After wash cycle – After running the protector through a normal wash/dry cycle, there were no signs of color retention. The protector was able to absorb the liquid, protect the mattress, and return to its all-white, unstained finish after washing. Not only is the Sleep Tite mattress protector waterproof, but it also does a fine job of protecting against bed bugs and dust mites. With six sides and a durable zipper, this protector is able to fully encase the mattress and block most harmful substances or unwanted pests from entering your bed. Additionally, once the protector had been fully zipped, it creates a snug fit around the mattress while still allowing for some elasticity. Noise and cooling are two factors that can make or break the decision for sleepers. With respect to cooling, the Malouf encase Omniphase protector did a pretty good job. There did not seem to be a significant difference in the cooling on the mattress when encased with the protector. That said, this is definitely a tough one to judge. Your body type, needs, and preferences as a sleeper will all have a significant impact on what you describe as “cool”. Additionally, some mattresses will perform better than others and will ultimately work better than others with respect to cooling. For additional context around cooling and heat retention, see my best cooling mattress. 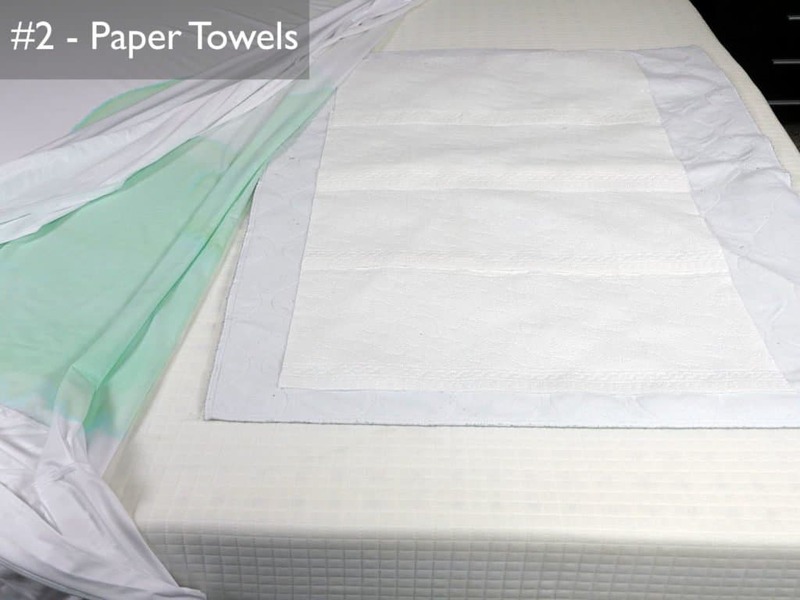 It can help you make broader selections around cooling with regards to your mattress, pillow, sheets, protectors, and more. Noise was on the above average side. It’s certainly better than the very traditional plastic feeling protectors, however, it’s not absolutely silent. The waterproof barrier creates a certain level of noise that could be annoying for some sleepers, especially those who sleep with thin sheets. For most sleepers, I think it’s a question of trade offs. With the Sleep Tite encase protector you get excellent protection from liquids, bugs, allergens, and more, at the cost of some additional noise. Who should buy the Malouf Sleep Tite mattress encasement protector? 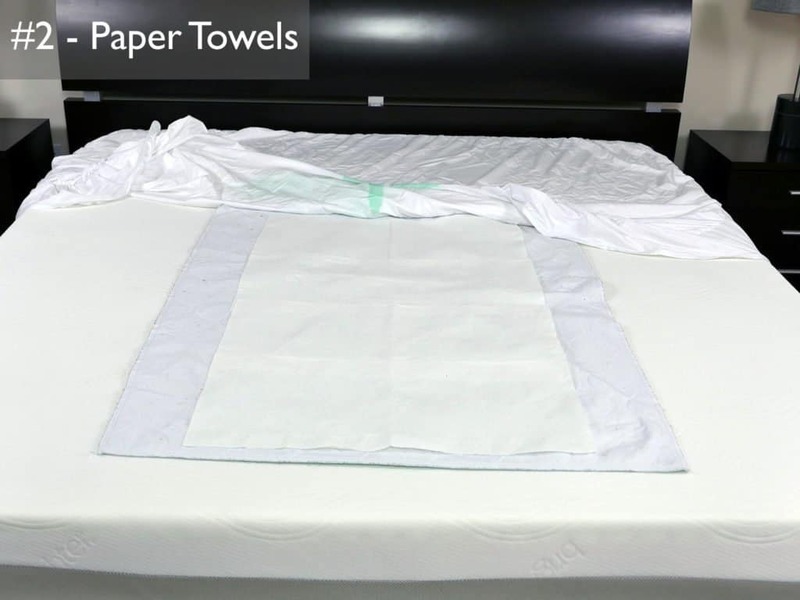 Want a full encasement protector – with six sides of protection, this protector fully encases the mattress and helps protect from bed bugs, dust mites, allergens, and liquid spills. Want a waterproof protector – as noted above, the Malouf Sleep Tite Omniphase encasement protector is liquid proof and does a great job protecting your mattress from spills and accidents. This protector passed both my 2-minute and 6-hour spill tests with ease. Want a cooler protector – Built with an Omniphase phase changing material, this protector is able to help better regulate temperatures. It won’t make your mattress cooler, but it will help to ensure that your existing cool mattress / pillows / sheets stay that way. Don’t mind spending a little extra – At $193 for a Queen size, this is not a cheap protector. 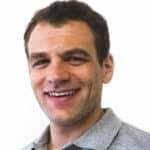 The material construction, liquid proof, and bed bug proof mean more cost, but you do get great performance out of those higher performance materials. Looking for more info on this protector? Check it out over at Amazon.com. The Malouf Sleep Tite Omniphase full encasement mattress protector is top notch. From liquid proof characteristics to protection against bed bugs, dust mites, allergens, alongside Tencel and phase changing material. This protector has a lot packed in. It’s expensive, but for those who need a protector that offers the highest levels of protection it’s hard to beat this encase protector from Malouf.